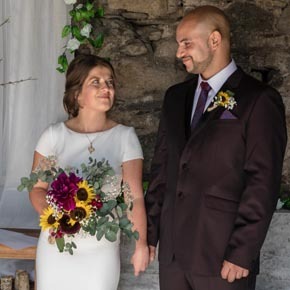 Your Humanist Wedding Ceremony will be designed with you, expressing your life, your love and your hopes for the future. Your ceremony can be an intimate occasion with a small number of guests or part of a large celebration. It can be as formal or informal as you would like. You can hold your Humanist Wedding Ceremony where you wish. It can be an indoor or outdoor location of your choice: at a hotel or a village hall, in your home or garden, or at a special beauty spot. It is up to you! I will spend time getting to know you so that I can write a personal ceremony which reflects what is important to you in celebrating your marriage. This can include me telling your story as a couple, such as how you first met, what you enjoy doing together and your hopes for the future. From the feedback I have received this is what people have enjoyed and found very meaningful. 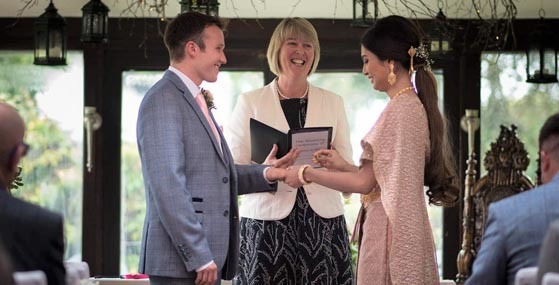 For most couples, exchanging vows and rings is a key part of their Humanist Wedding Ceremony. I encourage couples to write their own vows as it gives you the opportunity to say how you feel and make promises that are personal to you. 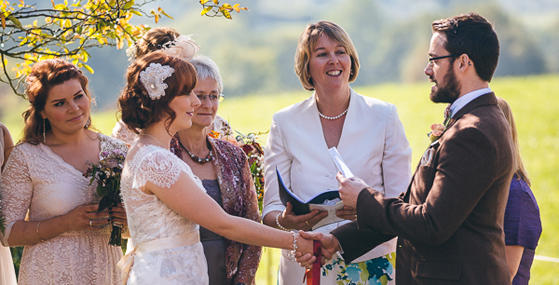 However, I do have a selection of commitments that you can choose from and I can also help you write your own vows. 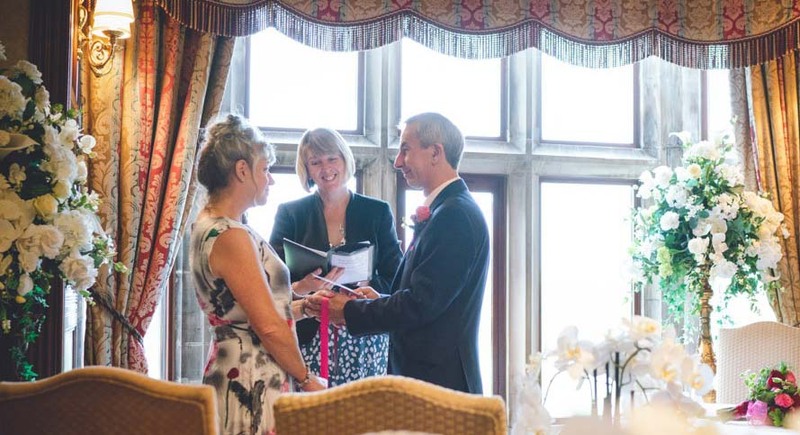 You can personalise your wedding ceremony by including poems, readings and music. Other ideas include: signing a certificate or special picture, lighting a unity candle, making a wish tree or holding a simple hand-fasting ceremony. For some inspiration please take a look at an extract from my collection of Wedding Poems and Readings. As part of my service I will share with you a resource file. 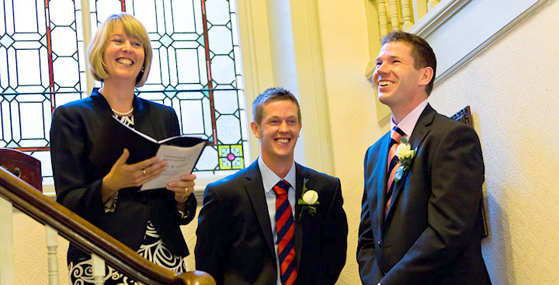 This includes a huge collection of poems and readings, ideas for personalising your ceremony and sample scripts. 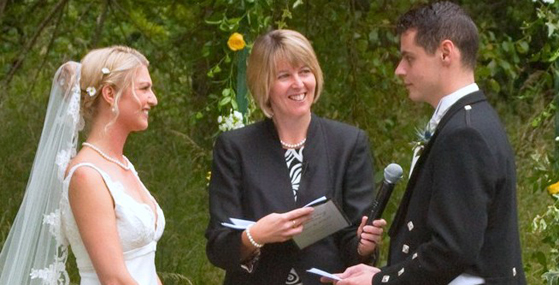 I can also help you write your own vows and have notes and examples to provide some inspiration! If you would like to see how a ceremony is put together please take a look at a Suggested Outline for a Wedding Ceremony. If you are an outdoor lover and would like to hold your ceremony surrounded by beautiful countryside then look no further! 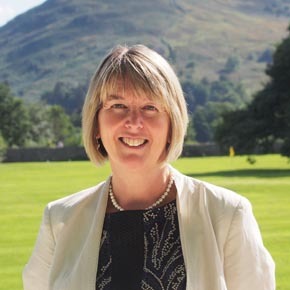 As well as being a qualified humanist celebrant I am a keen walker and hold a Summer Mountain Leadership Award. 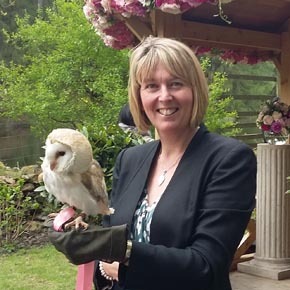 I have conducted weddings in a wide variety of indoor and outdoor settings which have included many local hotels as well as family homes and gardens. More unusual places include a jetty on Coniston Water and on the shores of Ullswater and Tarn Hows. 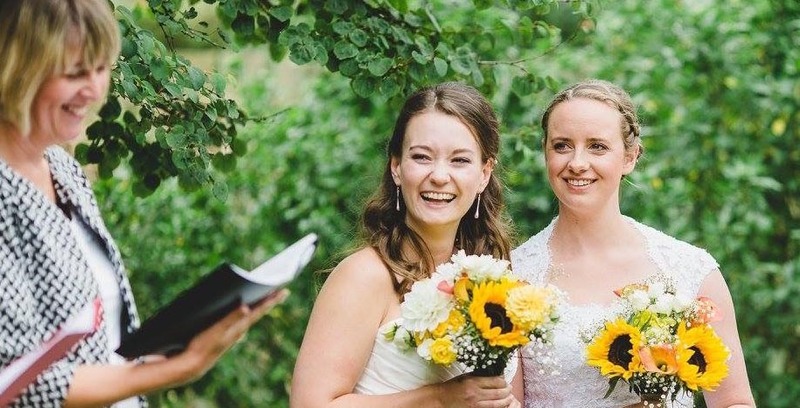 To get the true flavour of what a humanist wedding ceremony has to offer, take a look at Humanist UK’s video. 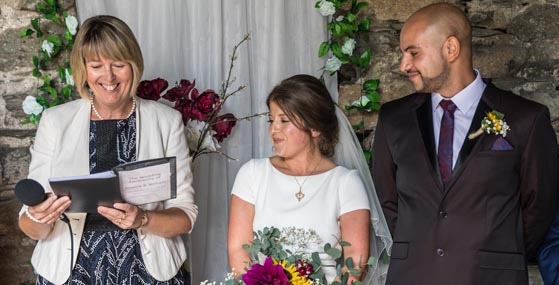 The opening scene shows Kym and Karim’s ceremony, which took place on the shores of Windermere. If you look carefully you can spot us again later! The fee that that I charge is between £450 and £650 with any mileage charged on top. This includes a rehearsal which I will conduct before your wedding day at a time convenient to you and your venue. 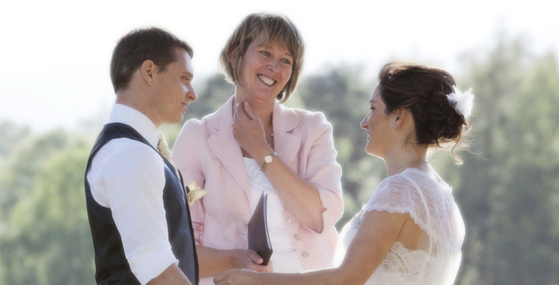 I will provide you with an accurate quote once I have further details of your ceremony. If you would like to book my services I ask you to pay a deposit of £100. The balance is then due a month before your ceremony. My fee reflects my experience and the time I will put into creating and delivering a personal ceremony.